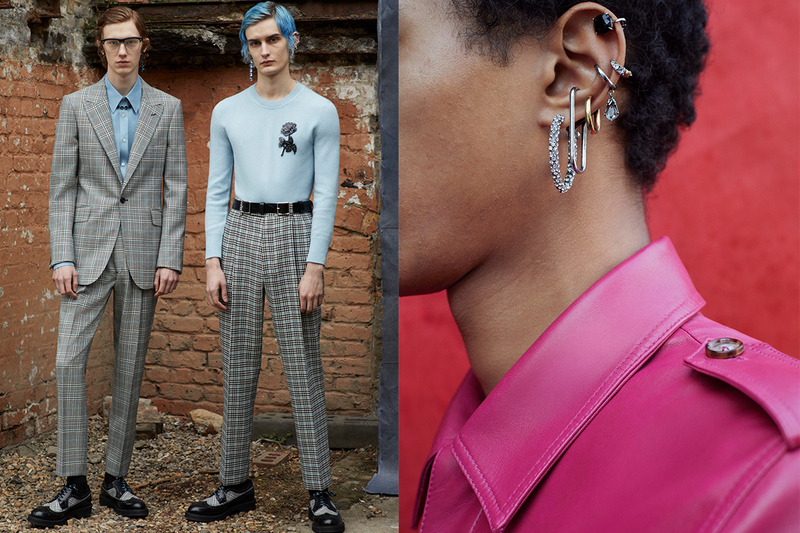 Featuring leather pants, loose romantic shirts, and a major suit comeback, we’ve compiled some of the highlights of the F/W ’19 men’s season. The American designer always delivers impeccable tailoring, but this leather suit is a standout. Paired with a simple black turtleneck and large aviator glasses, it was a fresh and sleek take on the polished menswear that Ford does so well. 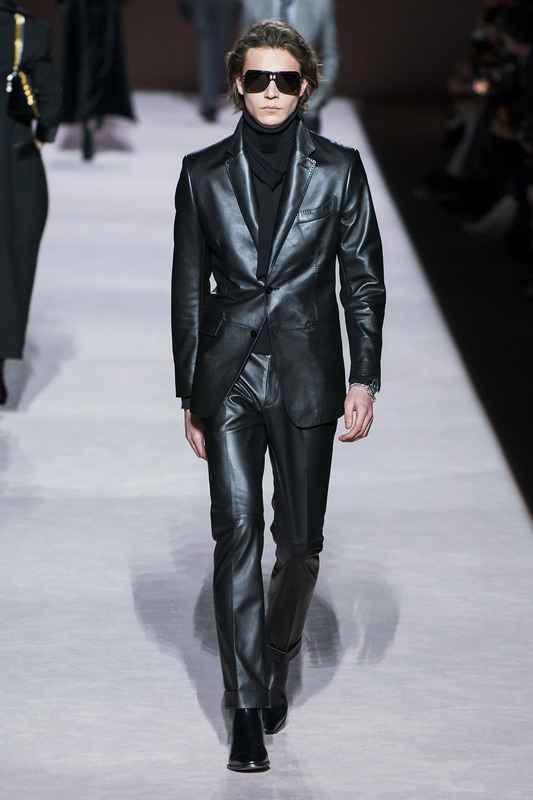 Similar suits were also shown by Alyx and Berluti, proving that 2019 is going to be a big year for men’s leather. 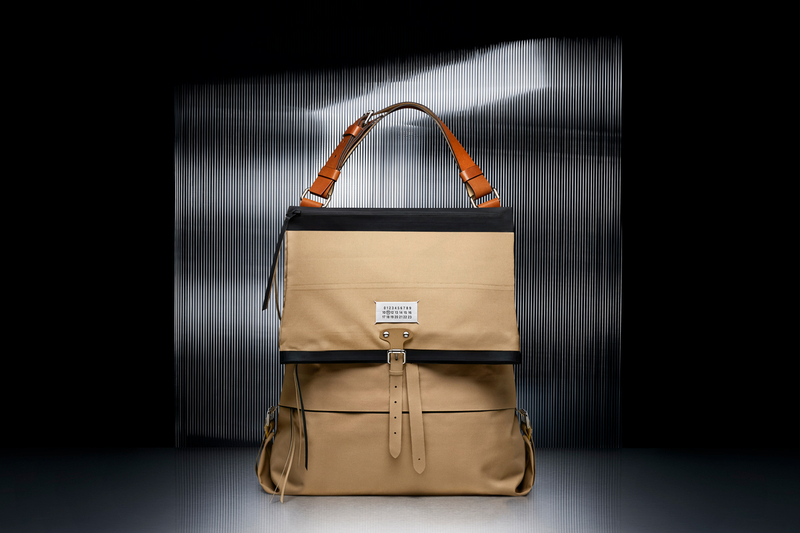 Showing for the first time in Paris, Loewe (the Spanish label headed by J.W. 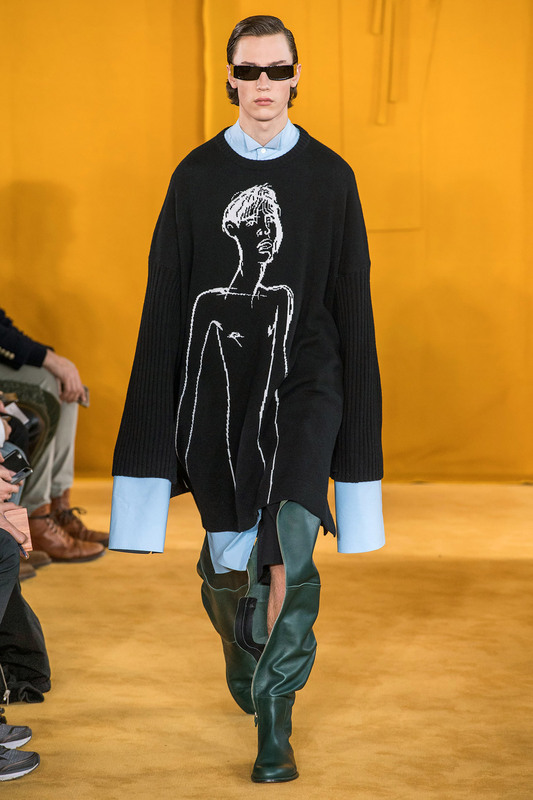 Anderson) presented a series of knits with dramatically exaggerated sleeves. While oversized tops have become a staple for a few seasons now, it was nice to see a silhouette that focused on length rather that puffiness. 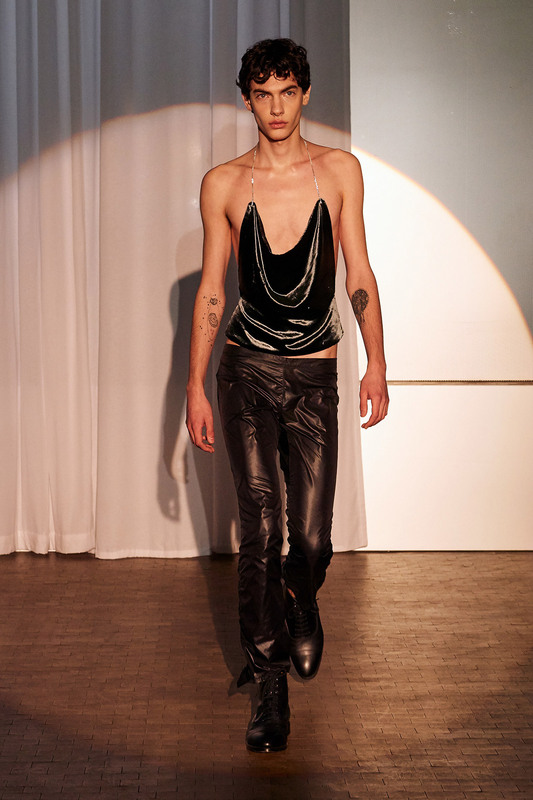 The French designer has amassed a devout Instagram following in the past year thanks to his flashy and delicate take on menswear (as well as his sensual campaigns starring IG’s finest). This slinky and shimmering halter was a season highlight that would fulfill any music video fantasy. 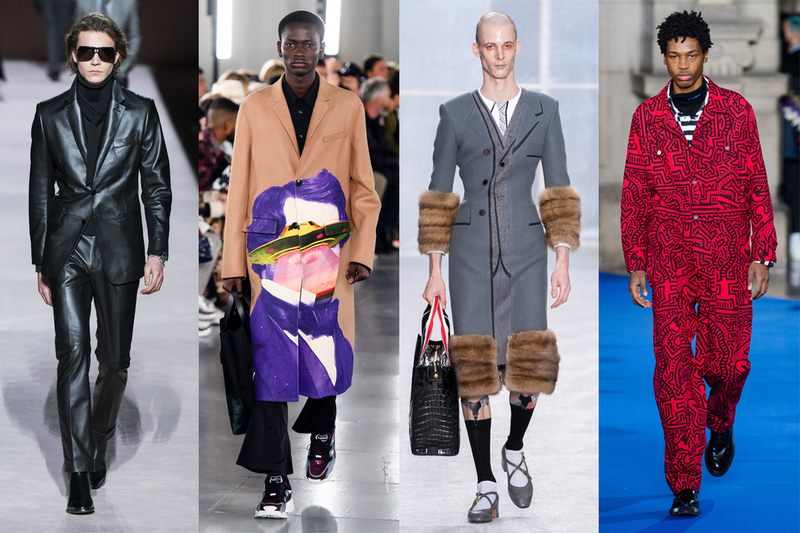 Moving away from athleisure and streetwear, this season was a welcome return to the suit. Palomo Spain, the young Spanish fashion collective, known for its theatrical pieces showed this rhinestone suit that is just waiting to make its on-stage debut. Looking at you, Harry Styles. 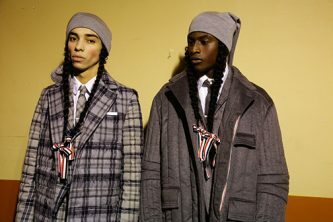 What’s great about Thom Browne is that he can do both super utilitarian and uniform tailoring and absurd large-scale runway shows. This elongated printed suit dress with fur cuffs and a cinched waist was a glimpse at the intersection of both these strengths. 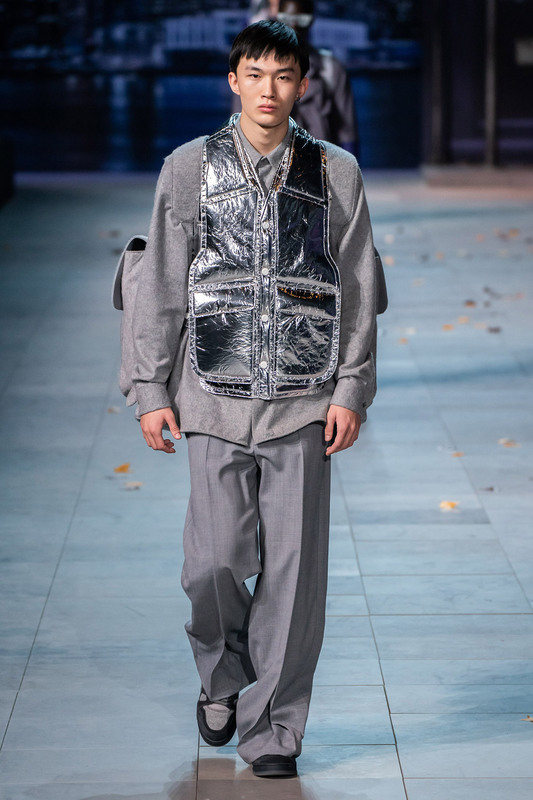 It seems only fitting that Louis Vuitton, which helped spearhead the great fanny pack trend with its viral Supreme collab back in 2017, lets us know that it’s moved on to utility vests as the next it-accessory. 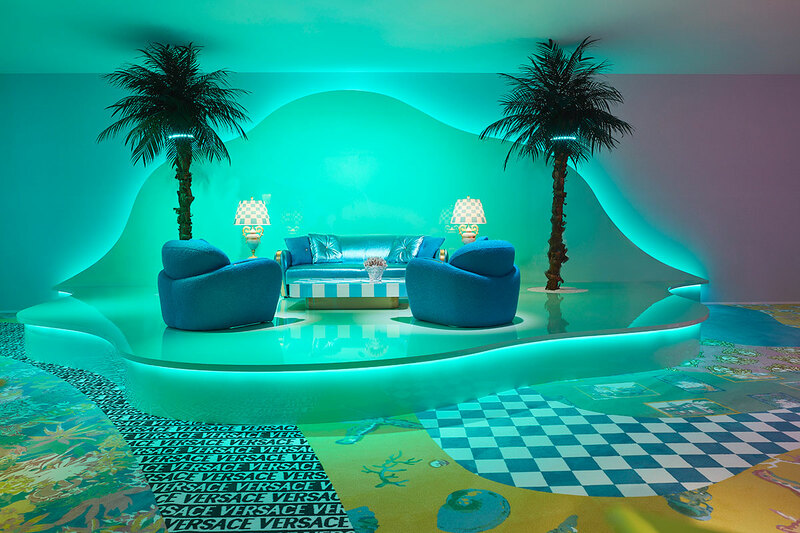 Right there with you, LV. 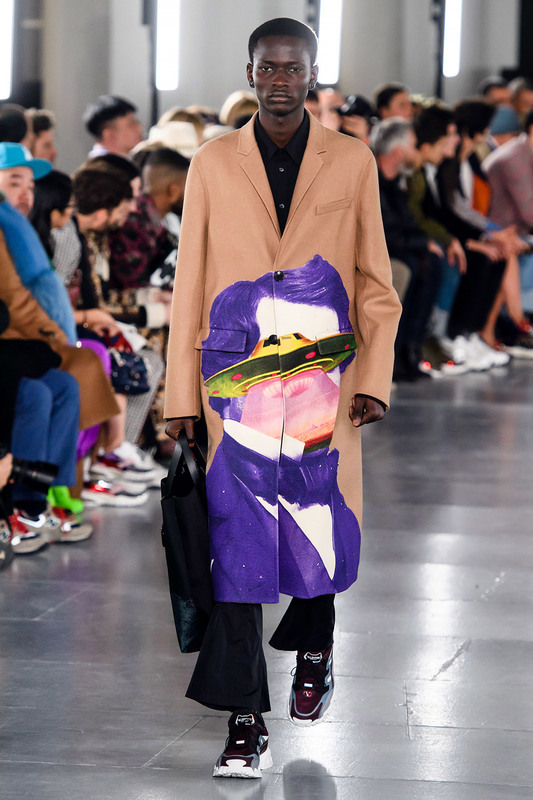 Retro menswear cues dominated this season, but this brown printed overcoat from Valentino showed us that simple things can elevate the staple pieces to a surreal place. 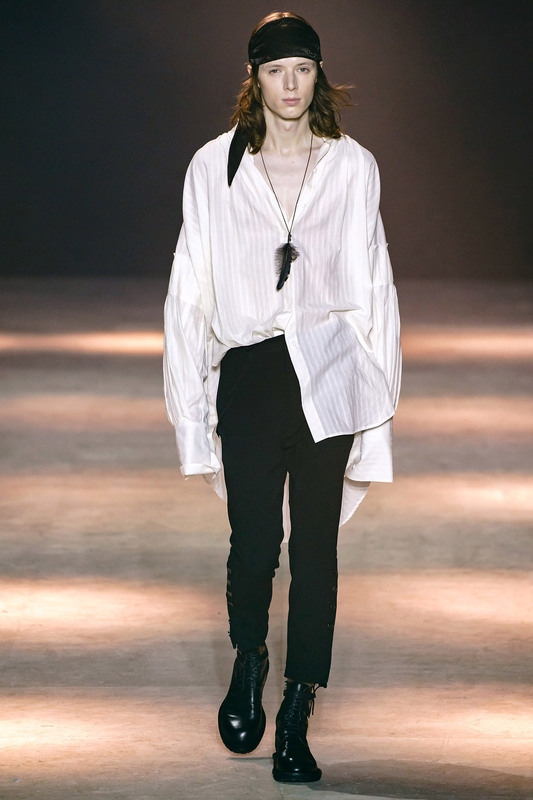 The Belgian designer presented an elegant range of oversized men’s blouses that would be fit on both a pirate and a romance novel cover. 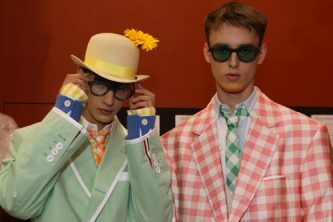 Billowy and rebellious, the shirts were a welcome contrast to the structured silhouettes that were frequently shown. 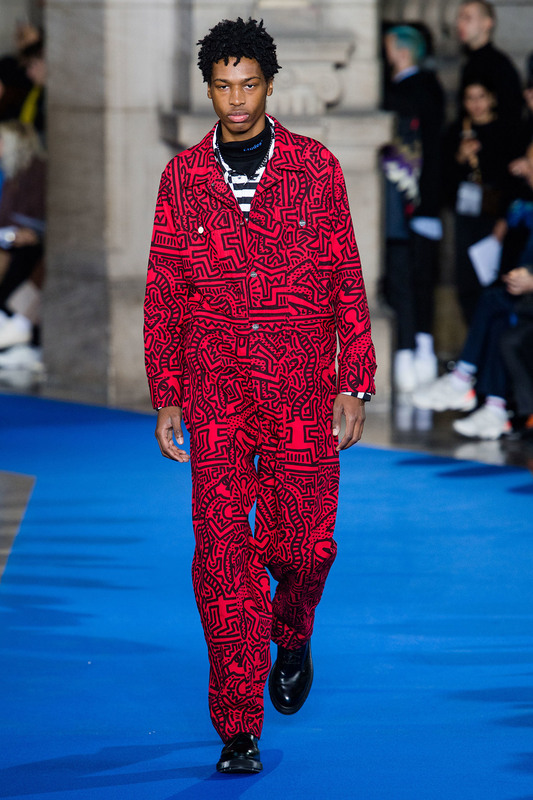 Haring’s work remains an endless source of retro-inspiration for fashion and the design world at large, but this simple yet bold jumpsuit from the French design collective was a straightforward yet refreshing way to incorporate the artist’s iconic illustrations. 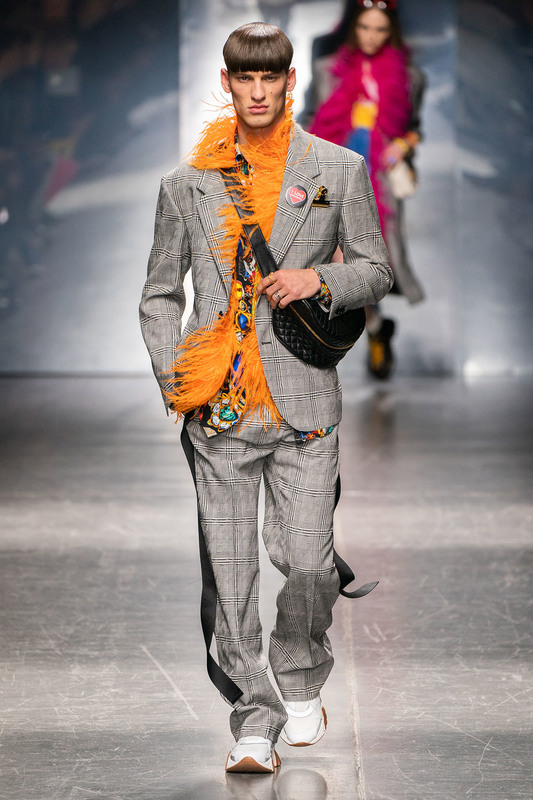 Leave it to Versace to add some campiness to the suit-overload that was made apparent this season, offering a reminder that menswear can and should be fun.